Beat the heat in these painter’s work shorts with just the right functionality. Features an advanced cut with Twisted Leg™ design, reinforcements and a range of pockets, including holster pockets and phone compartment. 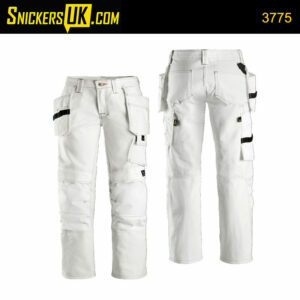 Snickers Central Warehouse are currently out of stock of sizes – 044 and 052. The new generation one-piece for painters. Count on contemporary design with just the right functionality and reinforcements you need for everyday working comfort and superior certified knee protection. For advanced essentials. Hardwearing painter’s trousers combining contemporary design with just the right functionality and reinforcements you need for everyday working comfort and advanced knee protection. A painter’s favourite, with a brilliant twist. Amazing high visibility painter’s trousers, featuring advanced cut for a perfect fit and superior Cordura® reinforcements for enhanced durability. EN 20471, Class 1.